In this file photo, Beyonce and Jay-Z perform during the "On the Run" tour at Stade De France on Friday, Sept. 13, 2014, in Paris, France. This time, they mean it. 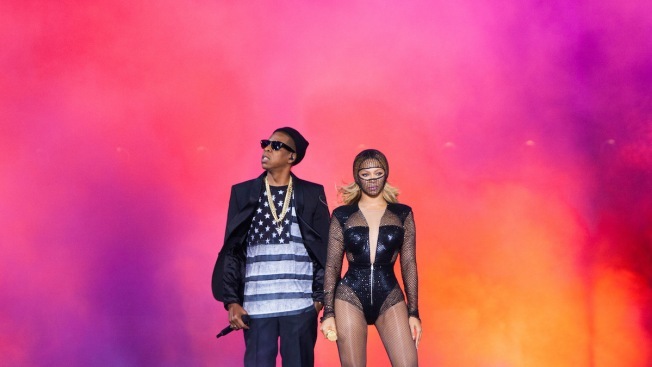 After prematurely announcing the highly anticipated sequel to their "On the Run" tour last week, which was quickly retracted, Beyonce and Jay-Z once again revealed the tour is happening Monday on social media. A full schedule of tour stops can be found on Beyonce's Facebook page. The tour will stop in 15 cities across the U.K. and Europe, and 21 cities in North America with stops in Philadelphia (July 30), East Rutherford, N.J. (Aug. 2), Foxborough, Mass. (Aug. 5), Chicago (Aug. 10), Houston (Sept. 15) and San Diego (Sept. 27) among other stops. Tickets will go on sale to the general public beginning Monday, March 19. Citi card members, Beyhive members and TIDAL subscribers will be given access to pre-sale tickets starting Wednesday, March 14, at 9 a.m. in North America, and 10 a.m. in the U.K. and Europe (all times local).